Nedbank student loans have been designed to assist prospective students and parents peace of mind and some sense of financial security. This loan facility assists in meeting financial commitments towards tuition fees, accommodation, books and study related equipment. Some of the features accompanying this loan include a once off administration fee, a monthly debit order to pay back the interest on the loan amount borrowed and reapplication for each year of study because the loan is only granted for a specific year of study. 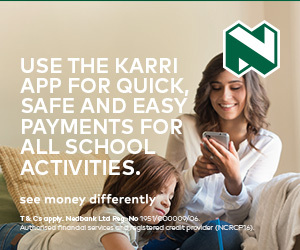 By taking up this loan, some of the benefits to be accrued include competitive interest rates and flexible repayment terms during and after completion of studies, grace periods for students who have to complete internships, community service or articles to qualify in the field of study as well as competitive Nedbank credit life cover for death or disability. To access the Nedbank student loan, Nedbank can be contacted on 0860555111.